Authorities in Switzerland have opened a probe into allegations major financial bodies in the country colluded to support the national mobile payment system TWINT in favor of rival systems Apple Pay and Samsung Pay, by actively boycotting the competing services. The Swiss competition commission COMCO advised on Thursday it was looking into the alleged boycott, with five large institutions being put under scrutiny over the matter. The firms under investigation are identified as Credit Suisse, UBS, PostFinance, American Express subsidiary Swisscard AECS, and Aduno Holding. "There is suspicion that these institutions worked in concert to block their credit cards from working with Apple Pay and Samsung Pay in order to benefit TWINT, a statement from COMCO advises. The regulator has already conducted searches at offices owned by each of the companies over the matter. Three of the named institutions have protested their innocence, with Credit Suisse claiming in a statement to be surprised by the investigation and "convinced that the allegations will prove to be unfounded." 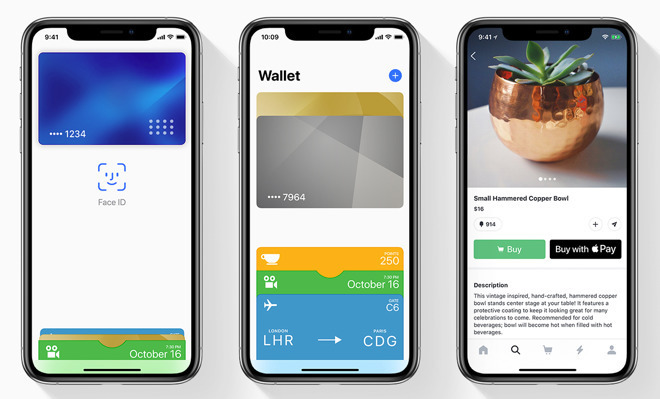 "We already offer to consumers in Switzerland access to Apple Pay and Samsung Pay through our subsidiary Swisscard," the firm protested, reports ABS-CBN, and that the bank had "been in talks with companies such as Apple, Samsung, or Google for several months" discussing how each company's particular payment system could be offered to its clients. A similar claim was made by UBS, in that while it "does not comment on ongoing investigations," the bank notes it attempted to reach an agreement to add Apple Pay support to its credit cards in 2016. "Although we have offered several alternatives, unfortunately no agreement could be made." PostFinance denied any wrongdoing, adding it was cooperating with COMCO to "clarify the facts." Though not an official target of the probe, offices controlled by TWINT were also searched by investigators. TWINT also claims it had asked COMCO to investigate alleged discriminatory behavior by Apple, accusing the iPhone producer of preventing the "trouble-free use of the TWINT app on iOS devices." Despite the allegations, Apple Pay has been available to use in the country since 2016, with customers of Bonus Card, Cornercard, and Swiss Bankers among the first able to apply their prepaid and credit cards to the service. Apple Pay has become a formidable revenue generator for Apple since its introduction, with it helping to bring Apple's Services arm up to $9.981 billion in revenue for the most recent quarter. While the amount of revenue that could be contributed to Apple Pay is not publicly known, it is likely to be growing its share, with Apple Pay's transaction volume now triple the level it was for the same quarter in 2017.